What’s Online Find out about the plethora of cultural activities offered in Pueblo. pueblo, colorado co nte nt s F e atu r e s 12	E is for Entertainment Revitalization plans generate excitement. 16	chile power Sloppers compete in Travel Channelâ&#x20AC;&#x2122;s Food Wars. 22	heating up the grid Businesses take advantage of plentiful sunlight to trim energy costs. 26	lesser known recreation gems City has excellent venues for family fun. 30	current affairs Vestas Wind Systems cites workforce, locale in choosing Pueblo for new plant. All or part of this magazine is printed on recycled paper containing 10% post-consumer waste. TOGETHER. Over our 15-year history, we’ve invested more than $24.8 million to improve the lives of all Coloradans. We invest in nonprofits because we believe that Colorado is a better place to live, work, and play when each and every person has the opportunity, support and resources they need to thrive. The hundreds of nonprofit organizations in which we invest are committed to improving the quality of life for all of Colorado’s residents. Our program areas include Arts & Culture, Healthy Families, Civic Participation, and Public Broadcasting. Supporting fine arts and cultural awareness initiatives that enrich people’s lives and stimulate conversation, while challenging stereotypes and building bridges between diverse populations. Support of programs that address basic needs of Colorado’s children, youth and families including mental, emotional, and spiritual health, and essentials like food and shelter. Healthy Families A strong, inclusive, democratic society needs individuals who actively participate in their communities. That’s why we support civic education, leadership development, community activism and advocacy. Supporting public radio and television programming throughout Colorado to help promote and encourage intelligent dialogue around important issues facing our state. 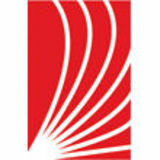 See a full listing of the Colorado nonprofits we support at www.gayandlesbianfund.org. JOin Us. Support local and statewide nonprofits that make our state great. Advancing Equality. Stengthening Nonprofits. Building a Better Colorado. What’s Online Find out about the plethora of cultural activities offered in Pueblo. SOUTHGATE â&#x20AC;Ś would like you to be our guest! Our promise to you includes a clean, comfortable hotel room. In fact, we have 81 of them! If you are traveling with your family, you have an option for a room with two beds. If you need a room for an extended stay, we have great two-room suites with a kitchen. • Security Patrol and Modern Video Surveillance • Front Door Pick-up and Drop-off Service Images Pueblo is published annually by Journal Communications Inc. and is distributed through the Greater Pueblo Chamber of Commerce and its member businesses. For advertising information or to direct questions or comments about the magazine, contact Journal Communications Inc. at (615) 771-0080 or by e-mail at info@jnlcom.com. Bronco Busting Looking for a taste of the west? The Pueblo-based Professional Bull Riders Association has you covered. The association sponsors the Wild Wild West Festival, a four-day celebration each May that offers everything from bull riding to art shows to hot-air balloons. The event takes place at the Colorado State Fairgrounds in Pueblo and along Union Street, drawing about 60,000 people. The fest concludes each night with the elite Built Ford Tough Series Pueblo Invitational. Itâ&#x20AC;&#x2122;s a Steel Back in 1880, Colorado Fuel and Iron became the driving force behind the development of Pueblo. To commemorate the contribution of CF&I, a Steelworks Museum of Industry and Culture has opened on East Abriendo. Visitors can explore the history of steel making, mining natural resources, heavy industry in the West and the many lives touched by the largest steel mill west of the Mississippi River. Exhibits include The Story of Steel, CF&I Through Time, and Dispensary and X-Ray Room. The museum is open from 10 a.m. to 4 p.m. Monday through Saturday, and admission is $5 per adult and $3 per child ages 4-12. Speed Thrills The National Street Rod Association has served street rod fanatics since 1970, and that includes gear-heads in Pueblo. Each June, the NSRA brings the Rocky Mountain Street Rods Nationals to the Colorado State Fairgrounds, and in 2010 the organization signed a five-year extension to continue bringing the series through at least 2015. More than 2,000 street rods are in attendance at the threeday Pueblo event, with the value of those vehicles exceeding $50 million. More than 25 aircraft dating back to World War II – including a huge B-29 called Peachy – are on display at the Pueblo Weisbrod Aircraft Museum. The museum on the grounds of Pueblo Municipal Airport is managed by the Pueblo Historical Aircraft Society. Starting in 1972, then-Pueblo city manager Fred Weisbrod began collecting vintage airplanes, and today the museum also includes thousands of artifacts. An interesting exhibit is a collection of women’s uniforms from all branches of service in WWII. The museum is open from 10 a.m. to 4 p.m. Monday through Saturday and noon to 4 p.m. Sunday. Admission is $7 for visitors age 10 and older. n Founded in 1872, the Colorado State Fair is held in Pueblo each year at the 102acre Colorado State Fairgrounds. n The 3.5-mile-long Pueblo Levee Mural Project is listed in the Guinness Book of World Records as the longest mural in the world. Pueblo At A Glance Population Pueblo: 104,175 Pueblo County: 156,737 Location Pueblo is situated beside the Arkansas River in southeastern Colorado, 110 miles south of Denver. n A whitewater park opened in downtown Pueblo in May 2005 that covers a halfmile stretch with eight different water features. n Lake Pueblo State Park, an 11-mile-long water reservoir, boasts 60 miles of shoreline and is one of the top recreation spots in the state. Beginnings The El Pueblo Trading Post was established in 1842, and the city of Pueblo was incorporated in 1870. 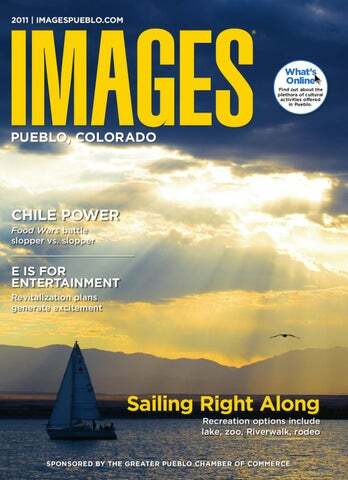 Take a virtual tour of Pueblo, courtesy of our awardwinning photographers, at imagespueblo.com. Juneteenth Day Juneteenth is celebrated in more than 200 cities in the United States, including Pueblo. June 19, 1865 is considered to be the date when the last slaves in America were freed, and that day has come to symbolize for many African Americans what the Fourth of July symbolizes for all Americans. Juneteenth Day recognizes and honors black ancestry not for slavery, but for the freedom that was rightfully passed to them. Juneteenth has been occurring in Pueblo since 1981 and occurs at the Colorado State Fairgrounds Family Park. If you want an Asian adventure without flying 10 hours to Asia, then check out Pueblo Zoo. The year-round destination has exhibits such as Asian Adventure, Serengeti Safari, North American Grasslands, the Australian Outback and World of Color. The zoo also features a tropical rain forest and an underwater viewing of penguins, plus an Islands of Life shipwreck journey as well as a Pioneer Ranch friendly farm. Pueblo Zoo is home to 400 animals from 140 species that are living on 25 acres in Pueblo City Park. What’s Online Find out why visitors go wild over the diverse inhabitants of the Pueblo Zoo by watching a quick video at imagespueblo.com. Viva Las Vegas Elvis impersonators, rejoice. There are now direct flights connecting Pueblo to Las Vegas. Allegiant Air announced in August 2010 that nonstop jet service between the two cities would begin Oct. 7, 2010. The new flights operate two times weekly – Thursday and Sunday – between Pueblo Memorial Airport and McCarran International Airport. Flights depart Pueblo at 7:25 p.m. and arrive in Las Vegas at 8:25 p.m., and depart Las Vegas at 3:55 p.m. and arrive in Pueblo at 6:45 p.m. Allegiant Air uses twin-engine, 150-seat jets for all the trips. Historic buildings occupied by restaurants, shops and apartments line Union Avenue in downtown Pueblo. Colorful international flags fly on Union Avenue. Loaf ‘N Jug Chile & Frijoles Festival, the annual celebration of the array of peppers grown in the area. “The festival has definitely increased the awareness of Pueblo’s chile crop throughout the region and state, thus increasing the demand,” says Juls Bayci, communications director for the Greater Pueblo Chamber of Commerce. Each year the farmers plant nearly 300 acres of chilies and close to 500 acres of frijoles. Farmers like Carl Musso of Musso’s Farm sell thousands of bushels of chilies worth tens of thousands of dollars at the fest. Amid pepper-eating contests, cookoffs, craft booths and live music performances, the smell of farmers roasting chilies hangs in the air. “It’s just getting bigger and better every year,” said Musso, who owns the oldest and most well-known chile farm in the area. Many restaurants feature Musso Farms chilies on their menus. The Musso Farms pizza, at popular local pizzeria Angelo’s, features sausage, pepperoni and chilies. Hot, medium or mild, Pueblo’s chilies lend a little kick and a hearty flavor when eaten plain, mixed into an entrée or atop a tortilla chip. And if you think there’s a limit to what chilies can do, consider Pueblo’s other concoctions, like green chili jams and jellies, breads, stews – even beer. Whether they’re fire roasted, barbecued or baked, Pueblo green chilies kick anything up a notch or two. Clockwise from top: Handpicking chilies at Musso’s Farm in Pueblo; Annual Loaf ‘N Jug Chile & Frijoles Festival; The lunch crowd fills the tables at Sunset Inn Bar & Grill, the recent winner of a slopper showdown on the Travel Channel’s Food Wars. What’s Online Hungry for more?Visit imagespueblo.com for extra chile power. ith a thriving alternative-energy business sector and plenty of local companies building and rehabbing facilities to take advantage of natural resources, Pueblo’s going green at both ends of the spectrum. With strong sunlight almost every day of the year, solar energy is leading the charge here. New technologies are allowing businesses of all sizes to add solar power arrays to their buildings, and the effort is proving to be worth the cost. Solar Array Boosts Savings at Andrews Foodservice At Andrews Foodservice Systems, a new 100,000-square-foot warehouse is powered primarily by a 100,800-watt photovoltaic energy system designed and installed by Vibrant Solar Inc. It has 500 solar panels, and is expected to reduce Andrews’ electricity demand by at least 23 percent once it’s fully operational, says George Andrews III, president and chief executive officer. The Andrews Foodservice Systems distribution center is primarily powered by 500 rooftop solar panels. Andrews Foodservice Systems is southern Coloradoâ&#x20AC;&#x2122;s largest commercial solar array. Residents enjoy year-round access to ice skating at Pueblo Plaza Ice Arena. A large wind turbine stands in front of the new Vestas Wind Systems manufacturing plant in Pueblo. hen you’ve got it all, people notice. In Pueblo’s case, the stars aligned brilliantly when work began to lure Vestas Wind Systems to town. Vestas, the world’s biggest supplier of wind-powered systems, was looking for a U.S. location for its new wind-turbine component manufacturing plant, which would be the world’s largest. The company wanted a central location, an alternative-energy savvy city, a quality workforce and an involved, engaged local and state government presence. In Pueblo, it got all that and then some, Anthony J. Knopp, vice president of Vestas Towers Americas Inc., says. that goal. In fact, employees and employee training were other major draws for Vestas when it began researching Pueblo, Knopp says. “We were looking for a location where we could find metalworking employees with a background and similar skill sets to what we needed,” Knopp says. “There are five generations of people who have worked in the steel industry here. We knew that we could take and mold those people into what we needed, that we could train them into our culture.” Pueblo Community College Reworks, Adds Training Programs Vestas found a capable partner in Pueblo Community College, which already had a well-established workforcetraining program, and the two entities quickly boosted those synergies with contract instructors for specialized jobs, and other custom applications tailored to meet the new plant’s needs. economic profile Economic Overview Pueblo has a low cost of doing business – among the lowest in America – which is a key reason why more than 50 companies have located here in recent years. Pueblo serves as the southern boundary for the state’s major business growth corridor, better known as the Front Range of the Rockies. Aquatic Thrills to Natural Marvels Pueblo offers an assortment of recreational options There’s plenty to do in Pueblo, no matter what you’re in the mood for. Those who prefer to spend their downtime in or around water can visit the scenic Lake Pueblo State Park, or take a trip down Pueblo’s Whitewater Park. The Historic Arkansas Riverwalk, Pueblo Zoo and the Nature & Raptor Center of Pueblo offer plenty of sights to behold. And for some family fun, the National Little Britches Finals Rodeo never fails to entertain. Lake Pueblo and Other Water Recreation Lake Pueblo State Park, the most visited state park in Colorado, is an aquatic hot spot, with more than 60 miles of shoreline and 4,500 acres of surface water. The lake is ideal for water sports of all kinds, including jet skiing, tubing, wake boarding, boating and parasailing. North Shore Marina offers 608 boat slips, the Water Street Cafe and a Ship’s Store that sells snacks, toys, sports equipment, boating parts and water rafts. South Shore Marina offers 400 boat slips, a covered patio area with propane barbecue grills and a general store for groceries, snacks and boating equipment. River surfers are a new crop of water enthusiasts making waves in the area. Thanks to Pueblo’s Whitewater Park, the area is quickly becoming Colorado’s main surfing destination. The venue provides great waves and eddies in one central location. tainment every Friday and Saturday night from May to September. An outdoor farmers market also provides food and entertainment throughout the summer. Pueblo Zoo and The Nature & Raptor Center of pueblo The Pueblo Zoo, located in City Park, treats guests to a scenic stroll through the habitats of more than 420 animals of 140 species. Visitors can get up close and personal with farm animals at the Pioneer Ranch, or see a shipwreck journey to habitats around the world at the Islands of Life exhibit. The Nature & Raptor Center of Pueblo, located in Rock Canyon, also provides visitors with a wealth of wildlife viewing. A variety of animals and plants are housed within the center’s blend of natural habitats, allowing guests to observe, explore and enjoy nature. Back:	Joseph	Castelli,	M.D.,	James	W.	Meeuwsen,	M.D.,	Stephen	J.	Wassinger,	M.D. Front:	Kristin	Kruse,	M.D.,	Megan	Lenhart,	M.D.,	Sara	M.	Tonsing,	M.D. Health Care Options Growing Medical and emergency care centers serve Pueblo Meeting the health-care needs of the Pueblo community, two medical centers and one emergency care facility provide quality health care to the area. alike. Spiritual care is also provided, assisting families with end-of-life issues, sacraments and offering counseling plus other services. on a 35-acre parcel, may expand in the future as needed. Rich in arts, culture and history, Pueblo offers a variety of museums, festivals, events, performing arts centers, historic sites and more. artifacts, the Pueblo Weisbrod Aircraft Museum offers more than 100 display cases and exhibits. Pueblo Festivals and Events The Pueblo Chile & Frijoles Festival is held in downtown Pueblo and features music, fun and food. Festival-goers can also enjoy the works of many local artisans and craftsmen. A western-themed event, the Wild Wild West Festival offers family-friendly activities, including concerts and cook-offs. While the festival is held throughout Pueblo, the majority of events take place on the Riverwalk and the Union Avenue Historic District. The Colorado State Fair features carnival rides, exhibit halls, contests and concerts. Attendees can also enjoy livestock, horse and small animal shows, as well as parades and a rodeo. The National Street Rod Association’s Rocky Street Rod Nationals, which is the region’s largest street rod automotive event, is held at the Colorado State Fairgrounds each year. promoting and providing educational opportunities in the performing arts. A nonprofit corporation, the Steel City Theatre Company pro­ vides modern, quality productions for public enjoyment. The Damon Runyon Repertory Theater Company offers live theater, children’s theater, adult and children’s workshops, dinner theater, murder mysteries and an art gallery. Historic Memorial Hall seats more than 1,600 for live plays, concerts and more. The hall is also where President Woodrow Wilson made his last speech in 1919. Pueblo voters recently approved funding for the renovation and expansion of the hall, with an expected completion date of fall 2012. Historic Arkansas River Project The Historic Arkansas River Project serves as a heritage tourism destination. The area, located in the heart of downtown Pueblo, includes sculptures, statutes, ceramic murals, and stone and bronze fountains. What’s Online Get a load of these sloppers! See varieties of the local delicacy up close in a video hosted by Rod Slyhoff, chamber president, at imagespueblo.com. Pueblo is rich with educational opportunities, boasting two exceptional public school districts as well as two first-rate higher education institutions. Pueblo School District 70 As the largest geographical school district in Colorado, Pueblo School District 70 educates more than 8,000 students from Pueblo County. The district includes four high schools, six middle schools and 12 elementary schools, as well as two charter schools, an alternative middle school, an alternative high school and seven preschools. Schools in this district work to integrate technology into class instruction in order to enhance each studentâ&#x20AC;&#x2122;s educational experience. Pueblo City Schools More than 18,000 students are enrolled in Pueblo City Schools, formerly known as District 60. This district includes four high schools, five middle schools and 19 elementary schools, in addition to two K-8 schools and three international magnet schools. Pueblo City Schoolsâ&#x20AC;&#x2122; high school students follow block schedules, in which the students attend fewer classes each day for longer periods of time. Division II level and is a member of the Rocky Mountain Athletic Conference. community profile Community Overview The air in Pueblo is so clean that residents often can see purple mountainsâ&#x20AC;&#x2122; majesties from 70 miles away. That is one of the numerous advantages of living in this city with clean water, a nationally ranked school system and reasonable home prices.